Increase your curb appeal with a brand new driveway! Your driveway is one of the first things guests, visitors and potential buyers will notice about your home and, as a result, it is an incredibly important aspect of the exterior appeal of your property. By making your driveway attractive, striking and full of character it presents a much more welcoming and inviting impression to anyone who visits your home and, as well as dramatically enhancing the aesthetics of your property, it can also significantly improve its value. If you are in the process of selling of your home, there are many changes you can make to speed up the sale and increase the cash value you are likely to receive. Many professionals in the property market recommend laying a new driveway or repairing your existing one as a key improvement tip and also an incredibly cost-effective one, as the benefits far outweigh the actual cost. It is crucial that your driveway complements your home and its surroundings, whilst also combining attractive design with complete functionality. Therefore, it is vital you carefully consider the various surfacing options that are available to you before undertaking any kind of driveway project. The most popular materials include gravel, asphalt, tarmac and concrete, ensuring whatever your individual requirements, there will be an ideal surfacing solution to suit you. Whether you would like a simple, elegant finish which will withstand tough weather conditions, or would like to create a stunning feature by using a decorative resin bonded surface, there are many possible options and most reputable surfacing contractors can help you select the most appropriate material for your specifications, tastes and budget. Your home’s value will be partially determined by the average price of similar houses in your neighbourhood. Therefore, it is important that your new driveway not only complements your property, but also suits the surrounding houses too. For example, if your house is the only property without a paved driveway, it may be perceived as less desirable and, subsequently, perceived as being worth less. Likewise, if you home has a recently installed, patterned resin bonded driveway, while the neighbouring houses have simple gravel driveways or driveways in need of repair, it may be perceived as being worth more. The professionals recommend researching average house prices and looking at the driveways of neighbouring homes and carefully considering your surfacing options as a result. 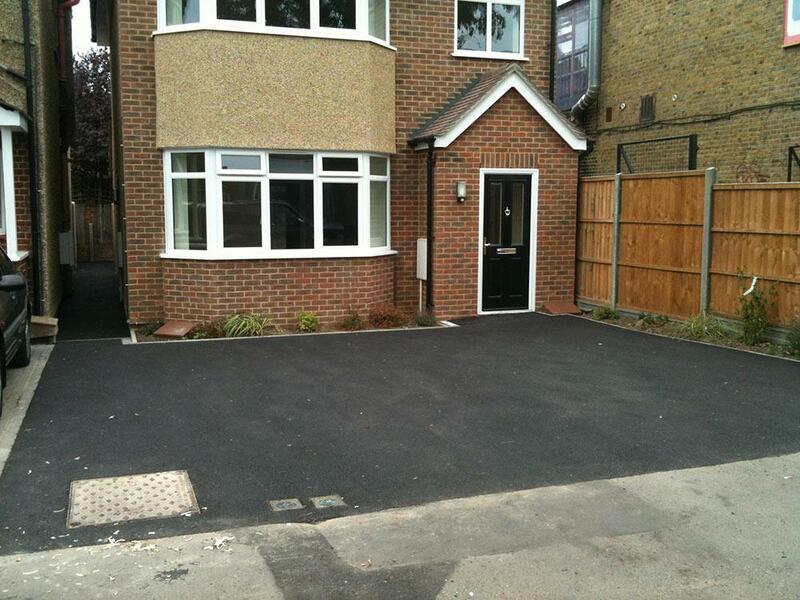 While a high quality, professionally installed driveway looks nice, it also comes with a host of practical benefits. Driveways receive daily foot and vehicle traffic, much more so than other exterior areas in your home, meaning it is one of the most used parts of your property. A superior standard, well-maintained driveway will be flat, even and smooth, causing much less damage to vehicles driving over them. When someone is viewing your property, the functionality of your driveway will be a consideration in the buying process. For example, a double driveway will increase your property price substantially over a single driveway, as will a walkway from the driveway to the patio or back door. It is important to consider the practicalities of your driveway if you are intending to sell your home and, in doing so, make any alterations necessary which could enhance the value and speed of sale. 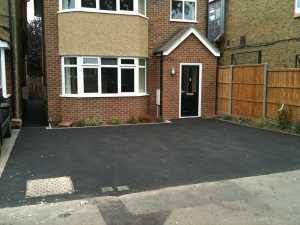 If you do not want to pay the cost of a brand new driveway, it is vital to at least make sure it is well maintained. Potential buyers will assess your driveway thoroughly for any damage before even considering a sale, so it is important any cracks, potholes and uneven surfaces are repaired before your house goes on the market. It is also crucial to ensure your driveway looks aesthetically appealing, as it can significantly enhance, or detract from, the overall appearance. Therefore, before anyone comes to view your property make sure any weeds and grass growing through the cracks have been pulled and check your driveway looks clean, well-maintained and tidy. Your driveway has to regularly withstand vehicle and pedestrian pressure, as well as harsh weather conditions, making it incredibly important that it is durable and hard-wearing. Therefore, it is always recommended to hire a fully trained and highly experienced professional resurfacing company to lay your new driveway, as it is then guaranteed to provide years of reliable service. The specialists at UK Surfacings can do just that and have years of valuable experience laying, repairing and resurfacing driveways, turning dull and tired surfaces into stunning features which dramatically enhance the appeal and value of your home. They have a wealth of options available to their customers throughout London and the surrounding areas and are committed to delivering high quality materials, a superior level of workmanship and completely affordable, cost-effective prices. Simply give them a call today for more information.